Results of a search for the frequency of appearance of the words "self" and "others" in 5,000,000 books written beteen 1500 and 2000. 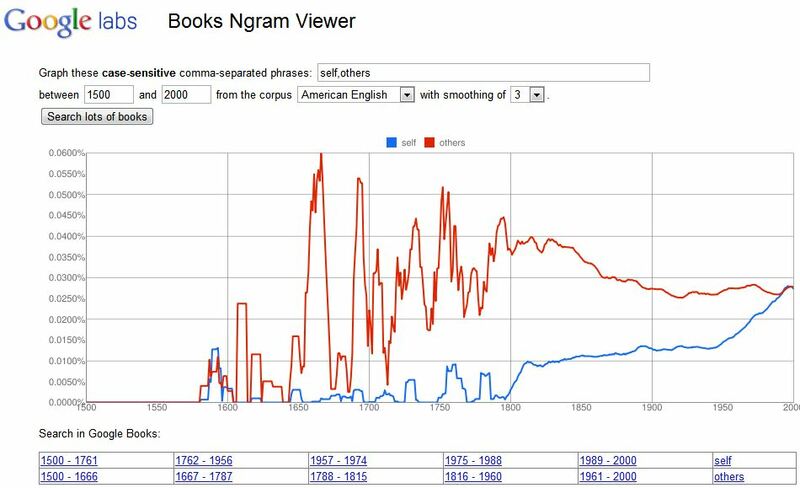 I picked some fairly meaningless words to check up on (“quahog”), and then decided to try “self” and “others” to see if there was anything in the data. Bingo! For a description of what Google’s up to here, see The Chronicle of Higher Education.